Does your network look after you, or is it the other way round? Vodafone Ready Network uses intelligent Software-Defined Networking (SDN) to make your life easier, whether it’s proactively anticipating and responding to customer demands, protecting you against new security threats, or enabling your business to grasp every cloud-based opportunity. It’s designed to be the cornerstone of your digital transformation. In three exclusive videos, experts from Vodafone, Juniper Networks and GlobalData discuss the benefits and opportunities offered by SDN, and why the barriers preventing businesses making the move are no longer an issue. Our panel of experts discuss how SDN gives businesses more agility, better control and saves money. Learn why the barriers to switching to SDN is no longer an issue. Learn how SDN can facilitate Artificial Intelligence and the Internet of Things. Provide uninterrupted customer service, respond to security threats and innovate instantly. You can do it all with our Ready Network. With Ready Network, you can become a truly digital business with no disruption to your employees or customers. Nothing beats complete confidence. Now you can integrate new technologies such as cloud and IoT into your business to drive innovation faster. Vodafone Ready Network will anticipate and respond to the demands of your business, and give you the visibility you need to protect your critical applications. …and at the heart of SD-WAN, you’ll find intelligent connectivity. It’ll give you the flexibility, control and visibility you need to stay competitive. This white paper explores how new technologies can supercharge the capabilities of existing networks and why enterprises should have a next-generation network on their shopping list right now. Challenges and opportunities arise every day. To meet the former and seize the latter—not only today, but in the future—your business needs the adaptability of SDN. As the trends toward cloud migration and a remote workforce continue to obscure network visibility, IT issue resolution is becoming increasingly complex. How can IT teams make use of smarter analytics to speed up troubleshooting? New technologies SDN&NFV will enable the nature of networks to evolve, leading to a world of homogeneity. This change won't come overnight, but organisations have to be prepared. New network technologies SDN and NFV accelerate innovation, provide any organisation greater agility and speed, and keep their people, locations and devices confidently connected. 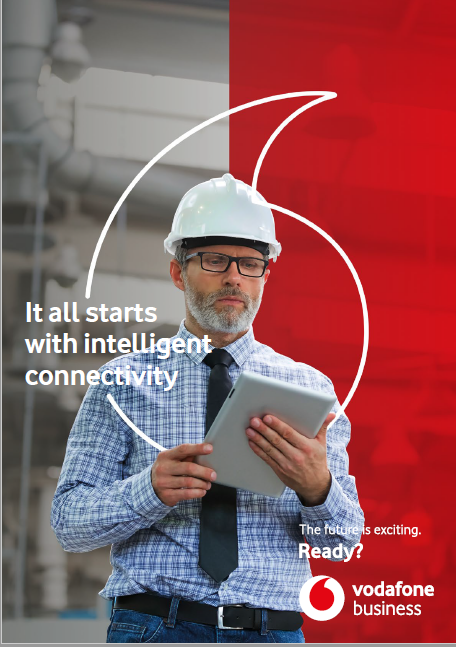 If you’d like to know more about Vodafone Ready Network and the benefits of intelligent connectivity, please let us know and one of our experts will contact you.